Always motivated by new stitches to learn and anything that looks warm on a cold day, I fell in love with the diamond rib on a dress pattern and the curved rib pattern on a popular sock pattern. 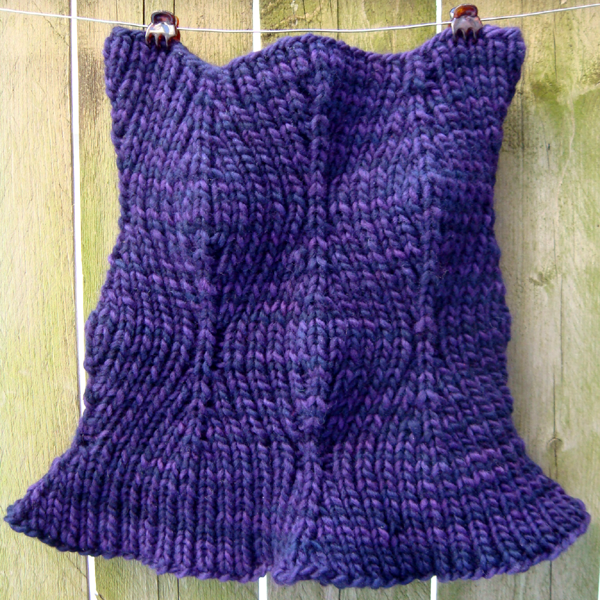 A cowl is a great way to try a new stitch, and they are useful when the testing is complete. I added the flare to the neckline so they both fall below the neckline of sweaters and lie flat under coats, and so the pattern shows up well. These two cowls are knit in worsted-weight wool. 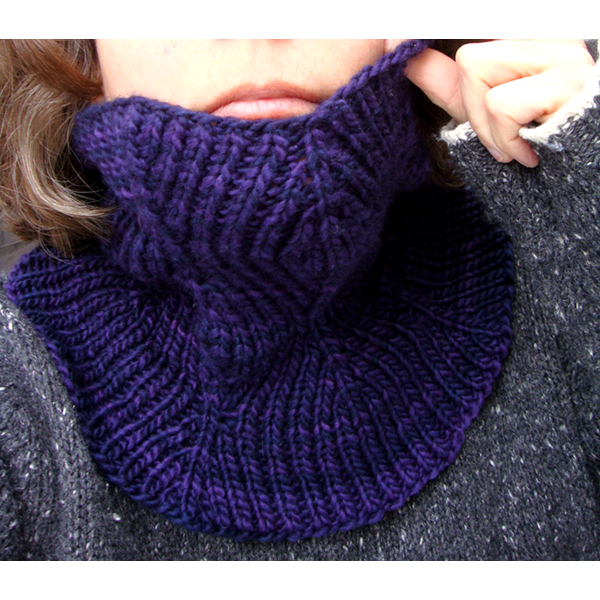 Both the Diamond Rib Cowl and pattern is available as free downloads.